Adding to bath water may help ease respiratory congestion. Powerful Immune Stimulant that can help clean the air in a home. 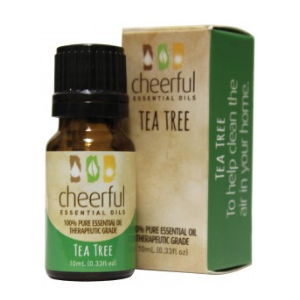 Tea Tree Oil is a powerful immune stimulant that can help clean the air in a home. Tea tree oil is derived from the leaves of the tea tree. The tea tree was named by eighteenth century sailors, who made tea that smelled like nutmeg from the leaves of the tree growing on the swampy southeast Australian coast. Today, Tea Tree oil is a powerful immune stimulant that can help promote wellness.